Nothing will make you look as regal and royal as a king quite like wearing a kings own garments. 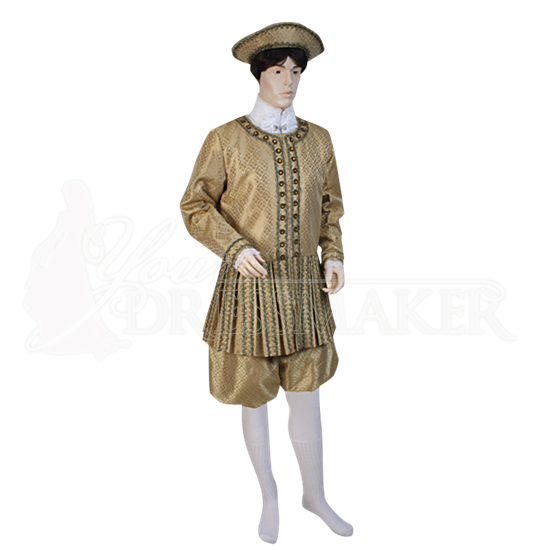 And with this King Henry Royal Doublet so readily available, it is a garment that you can add to your attire, to give yourself a royal look whenever you like. 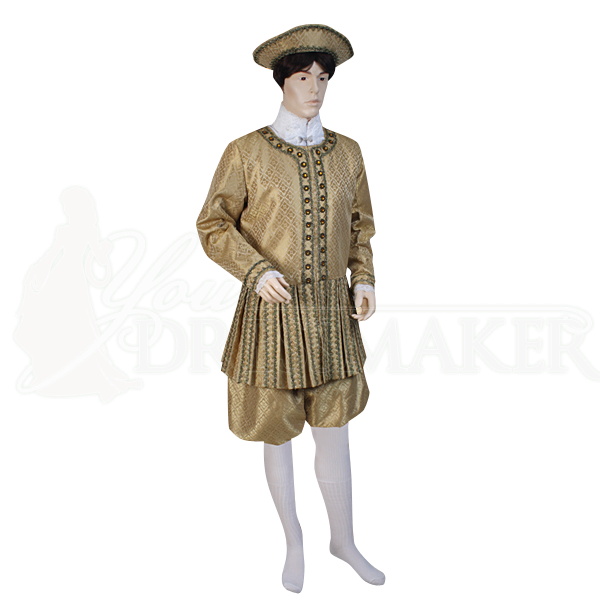 This rich and regal garment is crafted entirely in stunning brocade fabric that is offered in two colors, both of which feature stunning hues of gold to better convey the noble look of a well-known king of England. It is richly decorated with brocade trim, as well as with gleaming metal buttons. This jacket features full-length sleeves and a rounded collar, as well as a fringe waist hem that is rather unique in its look. It is lined for comfort and secured with hidden hook closures. It also features an interior pocket, for added convenience and easy carrying of any amenities you might require. As a garment, it pairs particularly well with our King Henry Royal Pants (item number MCI-361), although it will also serve well alongside other garments, too. If you have been looking to add something regal and royal to your collection, especially to give yourself a stunning look at your next fair, then look no further than this King Henry Royal Doublet for all your kingly attires.